Janet is an award-winning business journalist with extensive knowledge of the maritime industry, and in recent years a particular focus on the container shipping sector. She chairs the Lloyd’s List Editorial Board, an independent panel of experts who provide guidance and advice to the editorial team to ensure the highest standards of journalism are maintained. 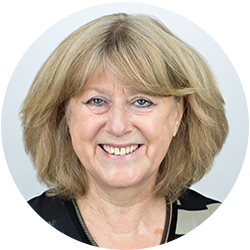 Prior to that, Janet was responsible for overseeing coverage of the global container shipping industry for two of the world's leading maritime publications, Lloyd's List and Containerisation International. Janet has often been the first to report some of the industry’s biggest events. She broke the story that AP Moller-Maersk was poised to take over P&O Nedlloyd. The details were so accurate that trading in P&O Nedlloyd's shares on the Amsterdam stock exchange was suspended until an official statement was issued the following day, confirming the acquisition talks. More recently, she was in overall charge of Containerisation International as it was fully integrated into the Lloyd’s List group. This included publication of a monthly magazine plus daily online news and analysis. At a time when container shipping is in the throes of the biggest upheaval in its 60 years history, CI has provided the most comprehensive coverage available of all the changes taking place, and how these will affect the future shape of the industry. Before joining Lloyd’s List, Janet was London correspondent and bureau chief for The Journal of Commerce, then a daily New York-based business paper that became part of the Economist Group, covering a broad range of industries from shipping, aviation, insurance and surface transportation to regulation and trade policy, while also managing a network of European correspondents and editing their articles. Is the US west coast big-ship ready? Terminals in the Californian ports of Los Angeles and Long Beach are able to handle ships of 18,000 teu or larger, but is the inland transport network able to cope with the cargo bulge each time a ULC is unloaded?